Memo's Pick & Style - Hello! Welcome to my blog! 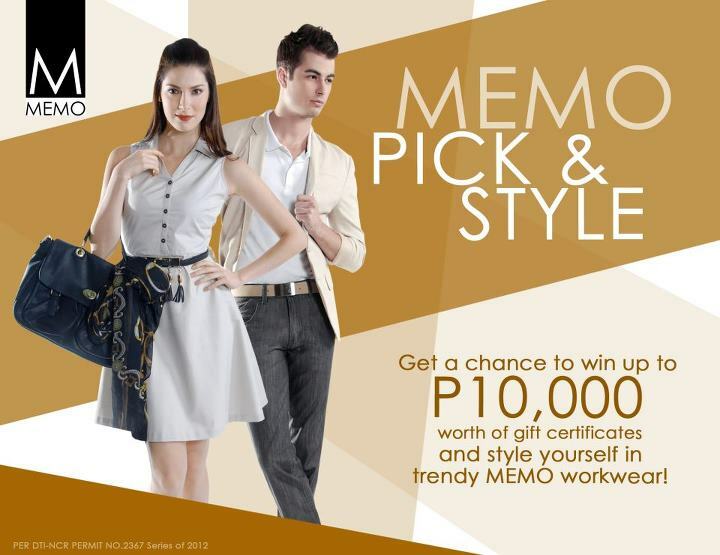 MEMO is giving away P 10,000 worth of gift certificates!!! Grab your chance now. 2. Promo period is from April 27 - May 31, 2012 but can gift certificates can only be redeemed until 29 July 2012. 3. To avail of the gift certificate, it is mandatory for the winning customer to fill up a customer information card. 5. See posters for complete details.